Yet, all of these reasons are why I, and many others play. The frustrations, the irritations, and the moments of sheer splendid joy are all built from the fact that the game itself is not built around kindness. These are common, common terms that are tossed around about Eve Online. Yet, dispite them, people still fall prey to some in game scams for the simple reason that they would not be scams in any other game. What we have played often molds us to what we will play. While many people are told to flush other gameplay down the toilet when they come to Eve online, the simple fact is that habits are habits. The one that I have been watching for the last few weeks is a corp enrollment gank scam. The corperation is Missions and Logistics Incorporated. Do not join "Missions and Logistics Incorporated"
I have personally watched two people fall victim while they were in a chat room I was in and listened to a thirds story. The story is simple, as detailed above in the threads. They make offers to enroll people into their lovely missionbear happy high sec corp. They also mine. The new person then comes and meets with them at a local and they kill them. One of the simplest reasons that this scam works, is that many people do not realize that corp members can kill each other. Also, the false safety of high sec and the presumed security of being 'in' a corporation with people gives a false sense of security. It is all very legal game play in Eve. The people that this group go after seem to be somewhat experienced to experienced players. There was a lot of noise about them ganking noobs. Yet, noob/newbie is a very subjective term. Eve kicks you out of the warm hands of the training missions pretty damn quickly. You are then subject to all the spaceship violence that the games has to hand out. No opt out. Some may not be very experienced and some have been playing for years. All accept a corp invite out of the blue with little to no research. Some of the casual belief that everyone cares about their kill board. Killing corpies does not look good. It would not be considered something to brag about to strangers. But what a killboard is to a person/corp/alliance is very personal. At its very base, it is simply a log of PvP activities. Various other bits of information are pulled and pooled in it and from it. However, it is a log of the pewpew a person has done. 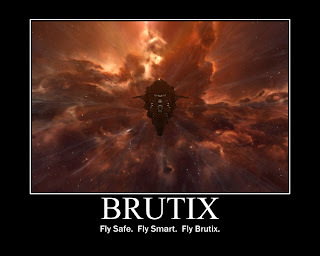 Corpmate killing is very common in Eve. Sometimes people get into corps and then kill the members and take all of their stuff. However, these recruitment scams are also there. They may ransom the player, pewpew the player, try to take the players items or any mix of various activities to fill their wallets and souls with game play. Eve lacks a consensual PvP button. Pewpew with corpmates is a fantastic way to practice pewpew without negatives such as sec status loss, Global Criminal Countdown and being concorded. Its a very useful mechanic that, like almost everything else, Eve's players have perverted to their own uses, needs and wants. If you do a goggle search for the corp, the first link is the thread from the forums. That does not stop people from accepting these corp invites. The players are friendly. They lure their mark in. The one that I heard about this afternoon, they tried to get him to eject from his Hyperion. I've heard them demand ransoms and get people to trade them ships as well. Then the target is destroyed. Some accept the learning experience. Yet, as many people as have fallen into this trap, not enough people read this. There are many people that wonder how this can happen. It triggers yet more discussions about consensual PvP and PvP flags and other such game mechanisms that exist in other games. The majority of the Eve player base rejects these things. Evil Eve is why we play. The only valid argument is what can be done to protect new players. In general, it has been agreed upon that the explanation of this happening is not anywhere that the average new player can easily locate it. They don't know that their corp mates can kill them. Many expect CONCORD to save them and explode in a brilliant burst of puzzlement. Blanket 'newbie' protections are something to be cautious about in Eve. The player base is to creative and too devious for many normal methods to not become abused within 15 minutes of the patch. And then there is the question of when hand holding just has to stop. Player retention is important. Yet, how often does one hear, "Someone blew me up?" and you ask where only to find out they were in low sec. "You ignored the warning." "The popup window that you closed without reading." One must learn to balance trust with paranoia. Not everyone is out to get you but normally they are. It does not mean that one should hide in a NPC corp till the end of days to avoid a possible gank. But think, look, use the in game browser for a few minutes before joining.